There’s a new bar that’s popped up in good ol’ HKV where Raasta previously used to be—it’s called K Boulevard. They’ve revamped the place to have a bigger balcony area and a new bar. Before the Auros and Bohcas of the world popped up, HKV was where Delhiites spent their weekends getting tipsy on potent, ladies nights drinks. Raasta used to be one of the main dance-it-out spots for that kind of night until it moved out to Green Park. It might be time to make a trip back, and let nostalgia punch you in the face—K Boulevard is a bar that has opened up where the old Raasta used to be, and it's got that super chill, lounge-like vibe with classic cocktails and musical nights. We tried the chicken popcorn and the margherita pizza (you know, the basics) and the food was good enough for you to drunkenly munch on, but nothing that’d stay with us for too long. 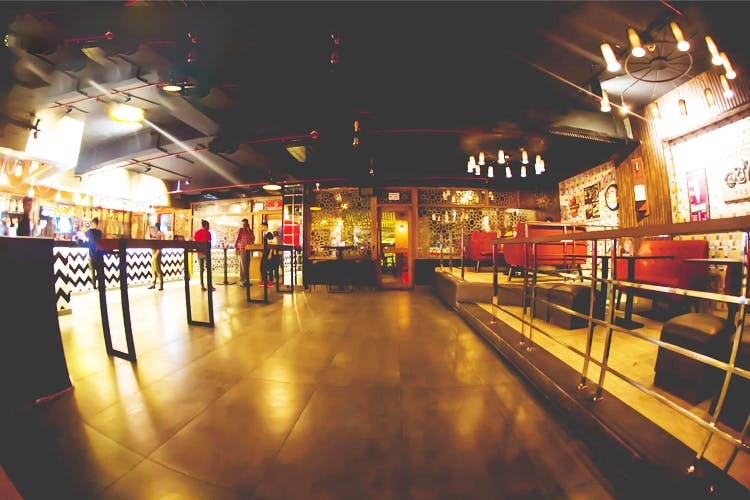 Check out Back To Basics in Hauz Khas Village for a nostalgic Friday night.